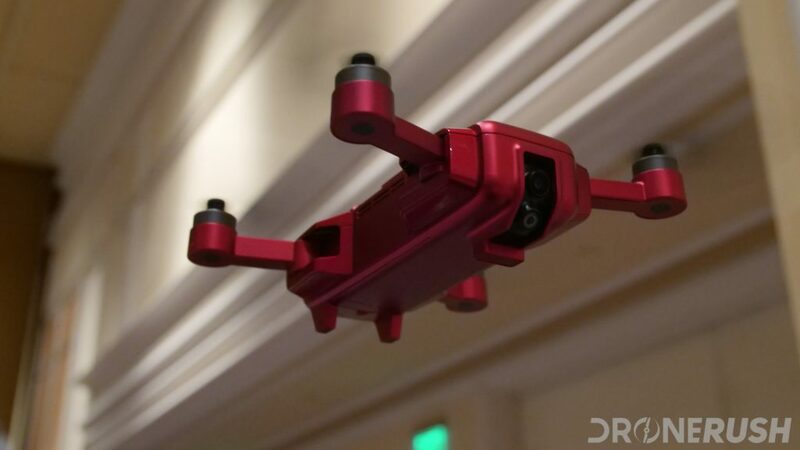 As we’ve mentioned time and again, we got to see many drones at CES 2018. One of the brands that stood out for us is called High Great. 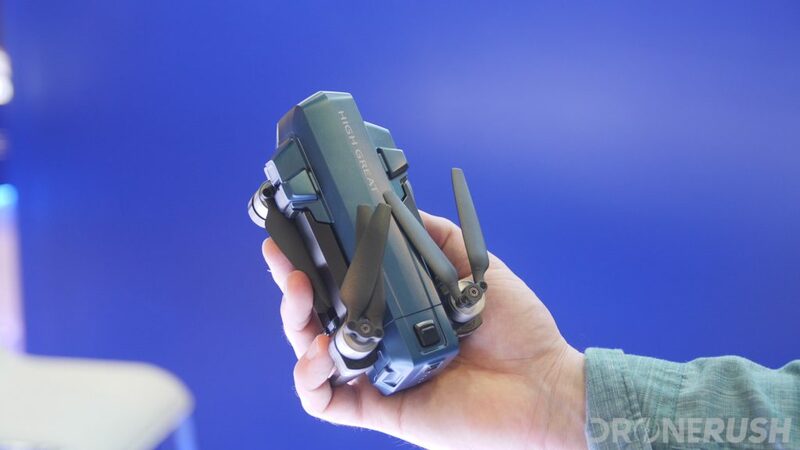 They have two new small, folding drones that we stopped in to learn about. 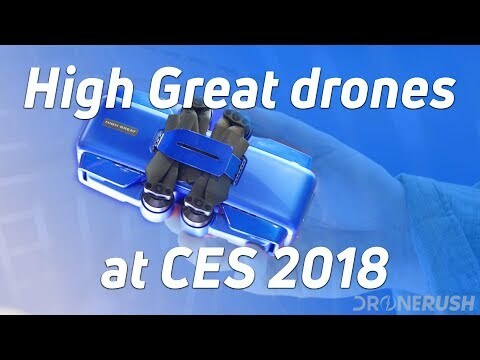 Join us for our interview with High Great at CES 2018 to look at Mark and Hesper. The larger of the two new drones, Hesper is a long and skinny folding quadcopter with 18 minutes of flight time and 1080p video recording. Hesper is a simple drone, designed for beginning pilots and those that just want a simple unit for flying around. It is equipped with GPS and VPS, so you can fly safely indoors and out. The remote control gives it a fair amount of range, about 800m, or a half of a mile, well beyond legal line of sight. You can grab Hesper for $499 alone, $699 with the remote control. High Great packs a bit more punch in their second new machine this year, Mark is also a compact, folding quadctoper that feels smaller than Hesper, but is actually about the same. Enjoy 18 minutes of flight time from this 199g quadcopter. 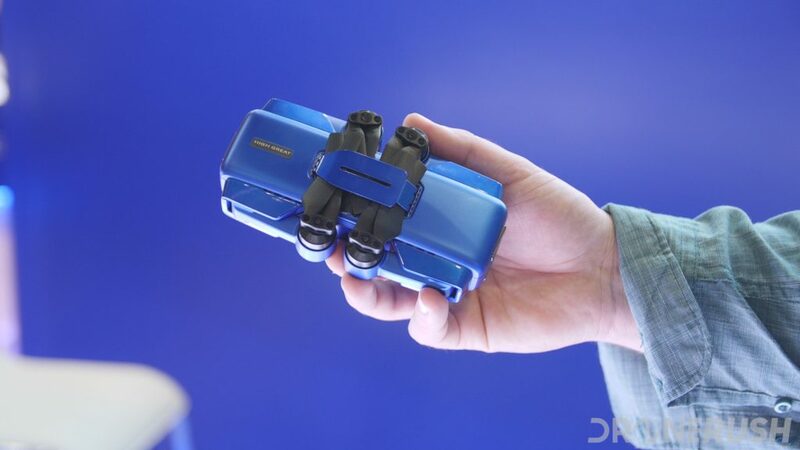 It is equipped with the same Sony camera sensor as Hesper, but it captures video at 4K resolution. It has a little less overall range, but it does so on purpose, it’s not your average flier. The High Great Mark has an intelligent flight system, using VIO technology for positioning, it offer what they call Memory Cruise. Memory cruise is the ability to walk or fly the drone to record a route, then one-tap launch the drone to have it autonomously follow the mission. This is a fun little machine that may satisfy your childhood household surveillance desires. Grab the High Great Mark for $299 today. Thank you again Johnny, and the team from High Great for spending some time with us this CES. 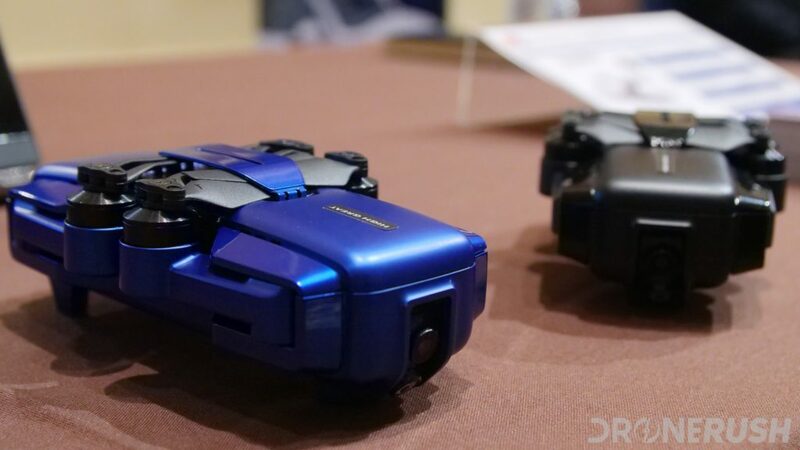 These two mini machines have potential in the toy-class drone market, but your tech has potential far beyond. Stay tuned for more from CES 2018, we’re getting through our content slowly.